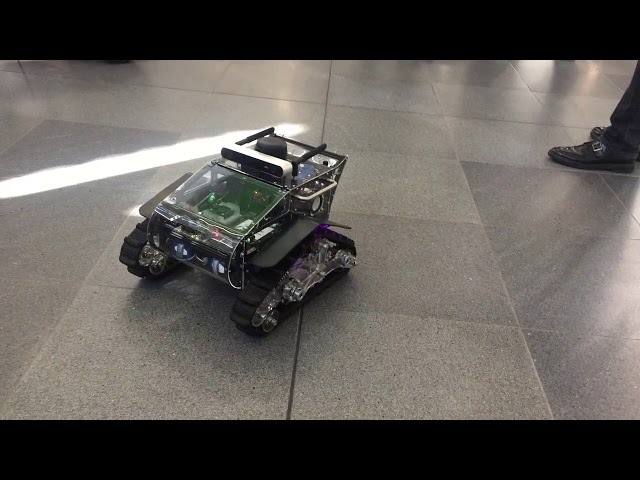 Panther acronym of "Powerful Autonomous eNTity High-End Robot" is an outdoor tracked robot, with a ZED stereocamera and an NVIDIA Jetson TX2, this robot can interact with all objects around it. This robot can climbs little rocks and little bumps. it is heavy with 9kg and with the big size 42cm with, 40cm deep and 30cm height, have a ground clearance of 7cm. The tracks have a particular damping system, with three different dampers to absorbe all vibration when the robot drift on the grass. This robot is integrated on ROS and all code is available on github. Panther is built with different materials that plexiglass, aluminium, plastic. Panther with NVIDIA Jetson TX2 and ROS the Robot Operative System can be move outdoor. In this video you can show how can work the damping system inside the tracks. To recognise and interact in the world, Panther use a ZED stereocamera, and to control the two dc brushed motors, use the unav board, a little board for motor control. 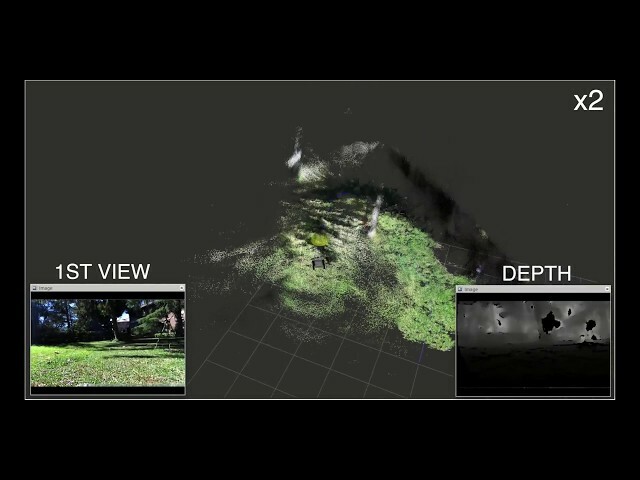 Simultaneous Localization And Mapping (SLAM) is used for Panther robot to localize and mapping an unknown area. With a 3D slam reconstruct the world near it. This process consists of a number of steps, filtering the information from different sensors, estimate the position with cameras, reobserving the environment robot moves around and updating where the robot thinks it is based on these features.